This chapter discusses recent environmental concerns of the food consumer. The expansion of human populations worldwide and other factors have progressively caused the continuous increase of lands for agricultural purposes, with consequent deforestation in developing areas above all. At the same time, the trend of produced foods per area of agricultural land has been constantly increased with the consequent enhancement of the growth of human beings, although the amount of cultivated lands has been reduced in the last forty years. 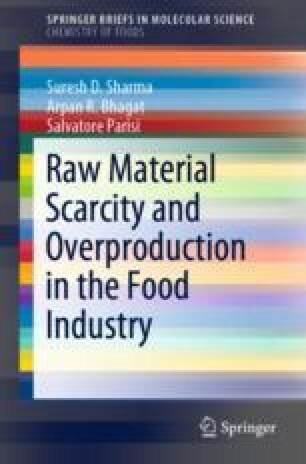 Food production (or food overproduction) is often correlated with environmental concerns because of the main role of three resources and their increasing consumption by food industries: water, energy, and anti-pest agents. More than a single food or food category may be interested in this way. For these reasons, three peculiar indicators—water footprint, carbon footprint (concerning the energetic consumption), and phosphorus footprint (with reference to pesticides and other similar chemical compounds)—are popular at present. However, are these footprints good indicators? This chapter discusses advantages and risks associated with these variables by a broader perspective.